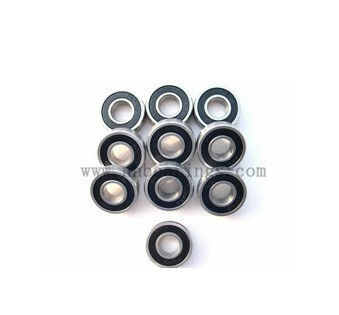 1).Deep groove bearings are one kind of radial bearings widely used. They are simple in structure non-separable cheap in its price. 4).In addition the good sealing quality between raceway and ball can make bearings carry radial loads as well as certain axial loads. 5).After the radial clearance is increased properly axial load carrying capacity will be improved accordingly. That's the reason why it can replace high speed angular contact ball bearings in some cases.